Welcome to G. Friesen Associates, Inc.
We provide the highest quality engineering services to landfill owners around the country. We strive to provide the highest quality of service to landfill owners and find the most innovative and cost-effective solutions to the issues they are facing. 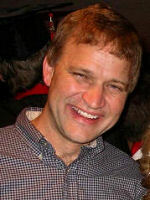 Gerry Friesen began G. Friesen Associates, Inc (GFA) as the original founder and creator in 1996. The company was designed to provide high-caliber engineering services to owners and operators of solid waste landfills. His specialized expertise has led to a thriving solid waste practice that is satisfying the needs of clients both in the public- and private-sector.